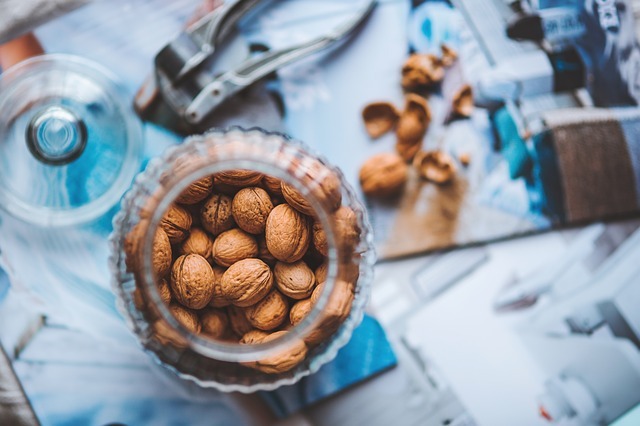 Most nuts contain heart-healthy fats and essential protein, minerals, and vitamins. But walnuts may be the real health champs, several new lab and animal studies say. In one, walnut extract slowed the growth of colon cancer cells, suggesting the nut could someday be used as a cancer fighter. In another, eating walnuts bolstered memory in the aging brains of rats. In a third, consuming walnuts improved the workings of gut bacteria. And in a fourth, eating 40g of whole walnuts a day boosted vascular function in subjects with high cholesterol, likely because they’re so rich in unsaturated fatty acids (the walnuts, not the study subjects). Btw, science has also been showing peanuts some love lately: New research found that eating 3 oz of peanuts with a high-fat meal prevented the fat fest from damaging arteries the way it usually does, which can lead to heart disease.